Back row: Denys, Valentine, Vincent, Paddy Cottam, Adrian, Patrick, Jeremy. Sitting: Daphne, Sylvia Findlater, Grandfather Vincent, Grandmother Jane, Peggy, Annette. In Front: Piers, Herry, Michael, Johnny Findlater, Patrick Findlater, Fuff (Luxmoore). Capt Vincent Adrian Lawford RN, CMG, DSO, JP was born on 6th January 1871 in Blackheath, the ninth son of John Lawford and Ellen (Crofts) and joined the navy as a midshipman. On 20th April 1904 he married Agnes Jane (born 1873), daughter of William Batty Mapplebeck Jr of Exhall House, Warwickshire, at Thurmaston, Leicestershire. They had five children: Adrian, Denys, Sylvia, Valentine, and my father Patrick. 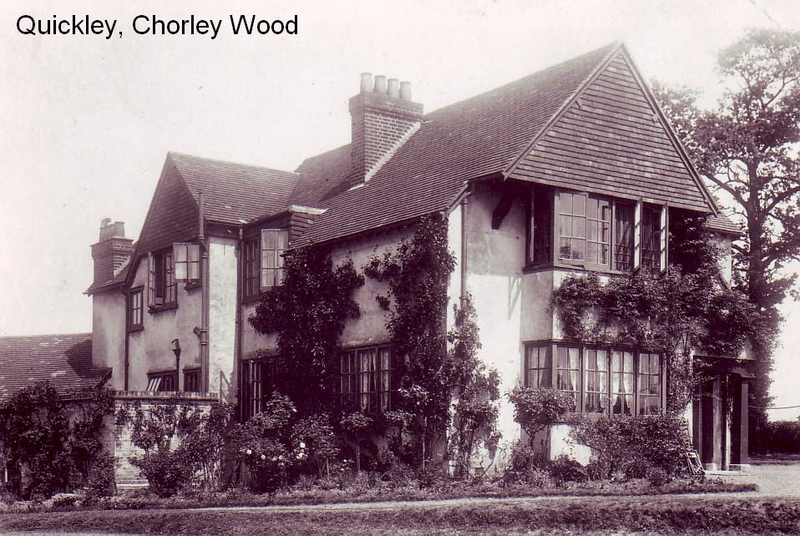 The family lived for many years at Quickley, Chorleywood, Hertfordshire. The house, which had a large garden, a grass tennis court and a beech wood and stream, has been built over; the area being called Lawford Close. They had a gardener called Charlie who lived in a cottage in the garden. Vincent Lawford died in Chorleywood on 11th March 1959, and Jane died there on 19th May 1964. Both are buried in Chorleywood Cemetery. Capt VA Lawford was an Officer of the Crown of Italy, an honour awarded for his services during the Messina earthquake in 1908. He also received a medal from the Emperor of Japan for services at an earthquake in Japan. He served abroad in Hong Kong, Japan and China and was appointed Fleet Paymaster in 1910, He won his DSO in 1916 for services in patrol cruisers and served under Jellicoe at the Battle of Jutland. He also served as Naval Liaison Officer at the Foreign Office and was a member of the British War Mission to USA (the Balfour Mission) in 1917 for which he was awarded the CMG. He retired in 1922 and enjoyed his favourite hobby, singing Gilbert & Sullivan operettas.